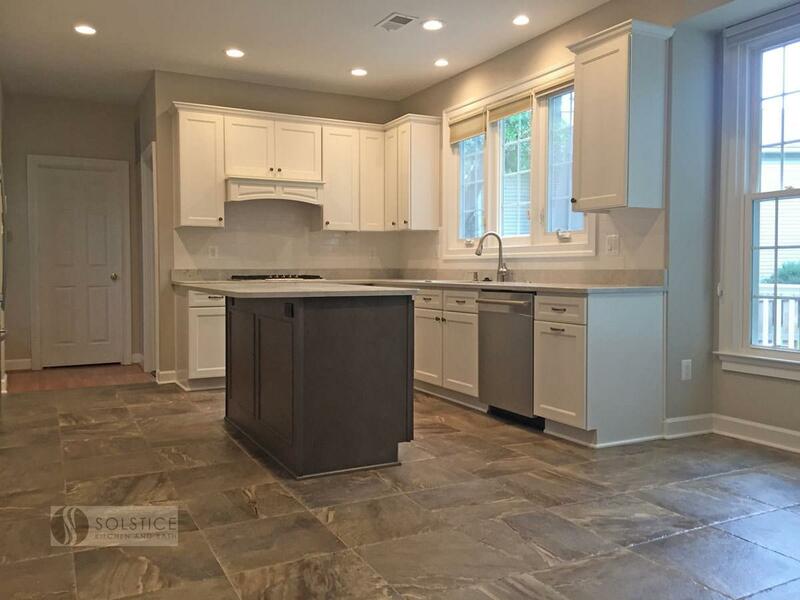 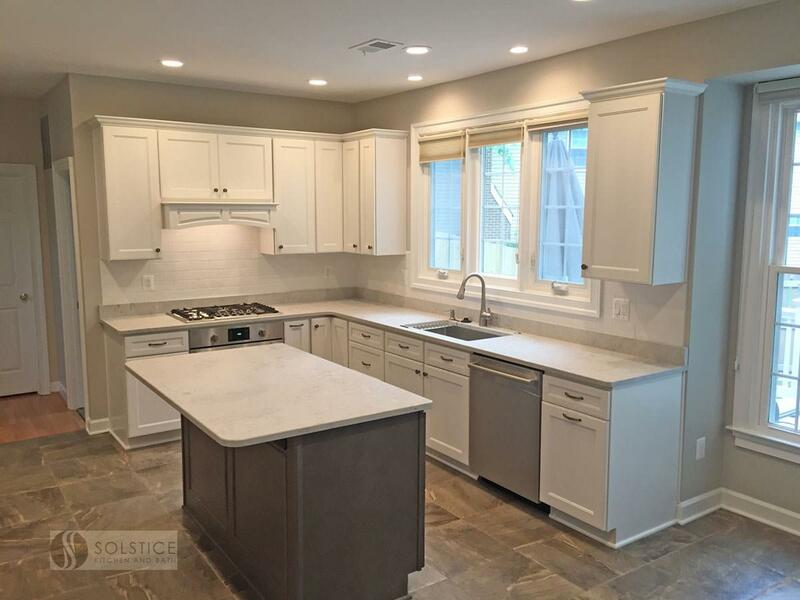 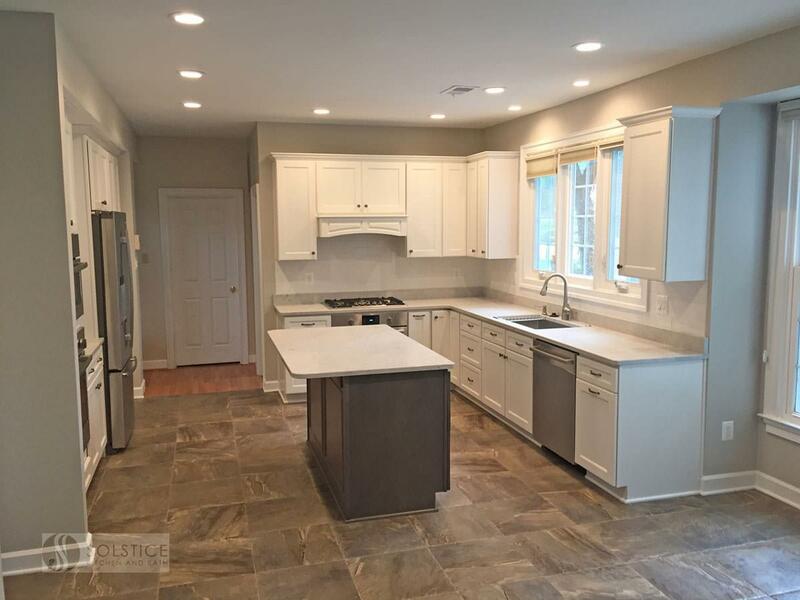 This Crofton kitchen design was updated with HomeCrest Brenner style kitchen cabinets in maple with a white finish on the perimeter cabinetry contrasted by brown island cabinets, all offset by Top Knobs antique pewter hardware. 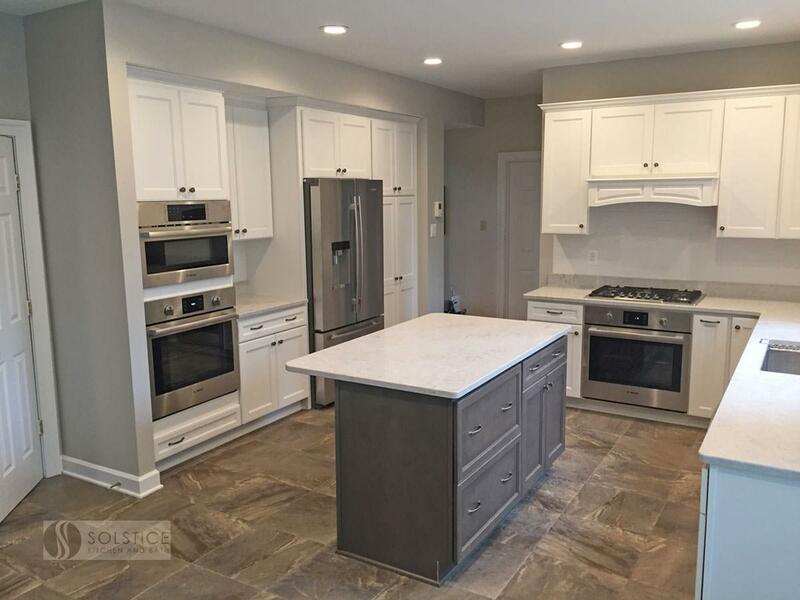 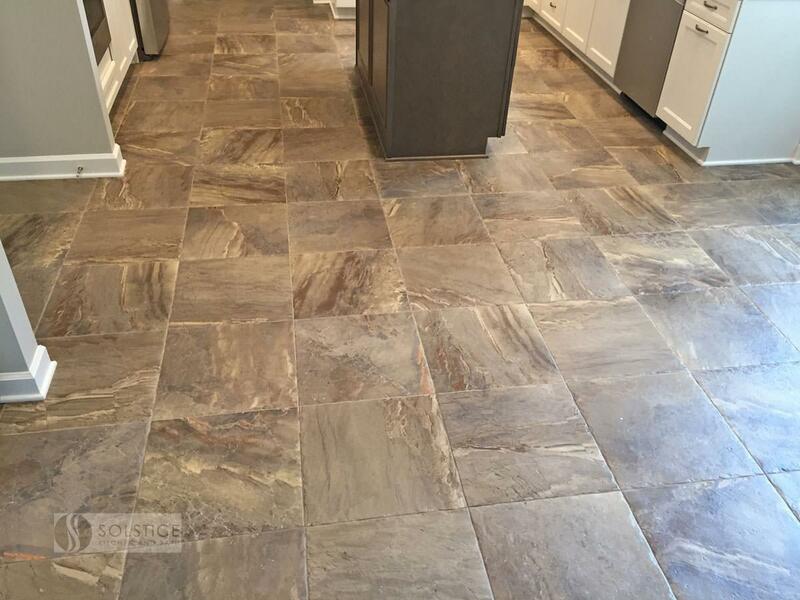 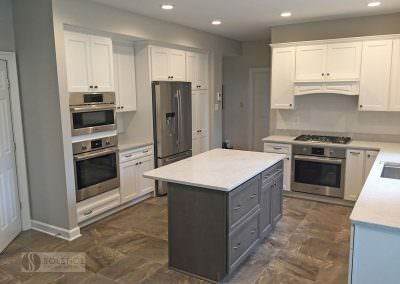 Mediterranea Essence bronze porcelain tile flooring adds warmth to the design, while the white Ceasarstone Bianco Drift countertop with eased edge and white backsplash continue the classic white color scheme. 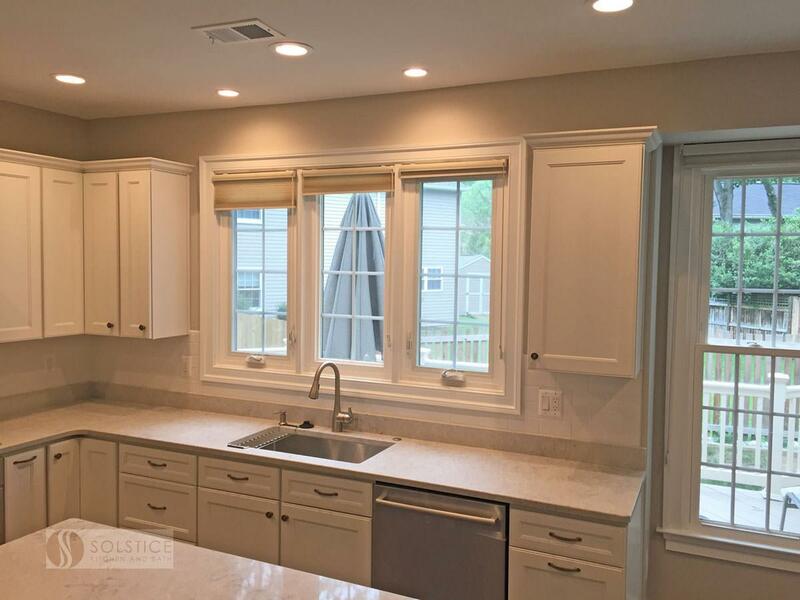 Behind the cabinet doors sits ample customized storage options, like the Omega National Tra-Sta- tray divider and Rev-A-Shelf translucent lid kit bread lid. 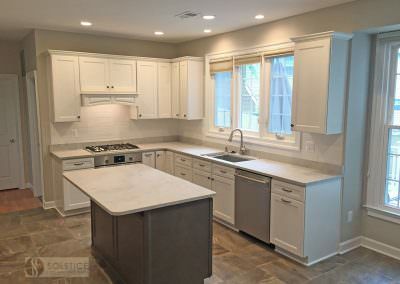 The design also includes a Kohler undermount sink with Moen Arbor pull-out sprayer faucet in spot resistant stainless. 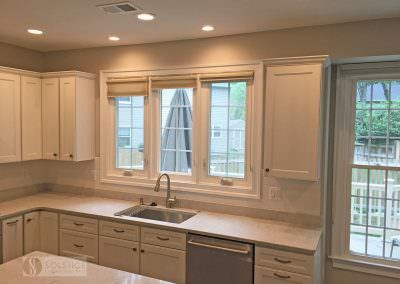 The Solstice team also re-routed electrical and plumbing for the new kitchen design, and installed flush mount lights.